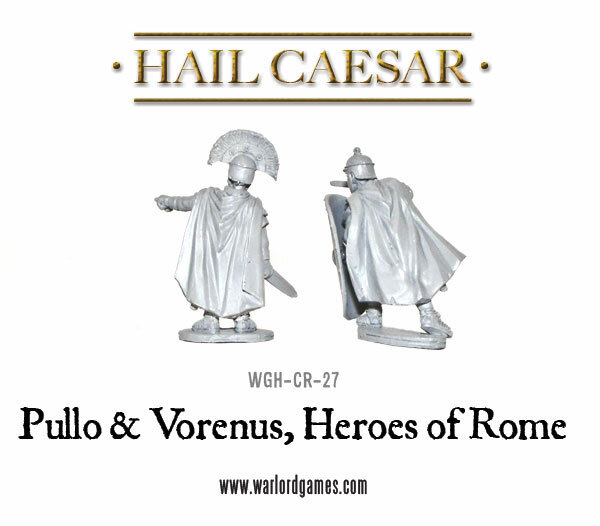 Adding more leadership to your Caesarian Roman army are these two new character models! Pullo and Vorenus are two names that many of you will be familiar with from the television series Rome. 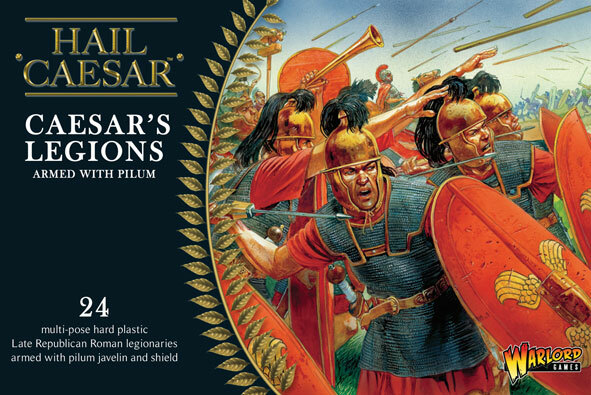 In the series, the two main characters are Centurion Lucius Vorenus and Legionary Titus Pullo. 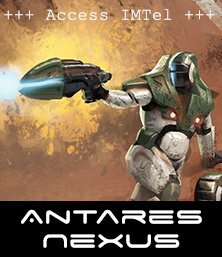 What you may not know is that the two characters were, in reality, two Roman centurions of the 11th Legion (Legio XI Claudia) mentioned in the writings of Julius Caesar; they appear in Caesar’s Commentarii de Bello Gallico. Fierce rivals for promotion to primus pilus both distinguished themselves in 54 BC when in an effort to outdo Vorenus, Pullo charged out of the fortified camp and attacked the enemy, but was soon wounded and surrounded. Vorenus followed engaging his attackers, killing one and driving the rest back, but when he too lost his footing he was himself soon surrounded. Pullo in turn rescued Vorenus, and after killing several of the enemy, the pair returned to camp amid rapturous applause from their legion. 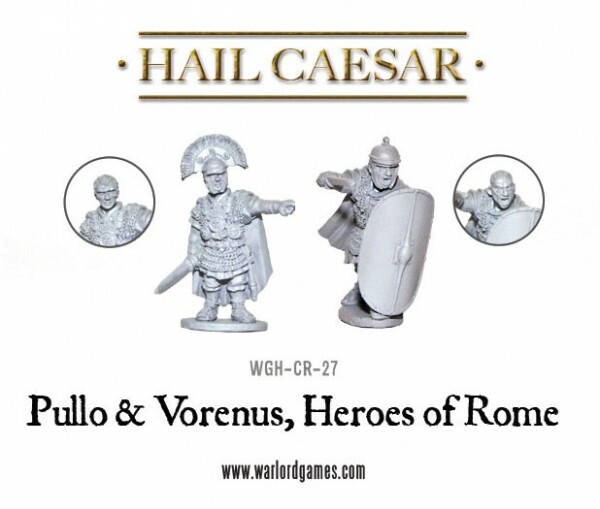 We have chosen to be inspired by the TV characters so have Vorenus in his horsehair plumed helmet and Pullo in legionary armour. 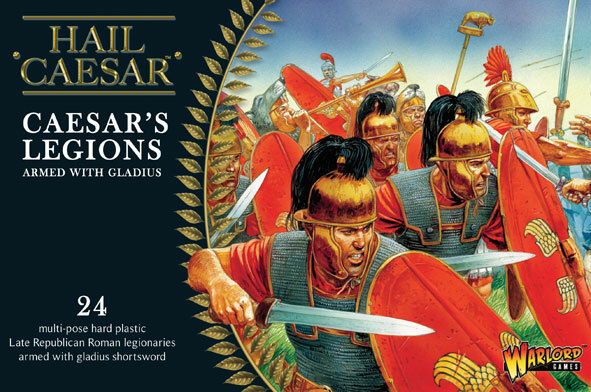 Because we know you love the two Roman soldiers we’ve also provided bare heads for each so you can choose how to represent them on the field of battle. 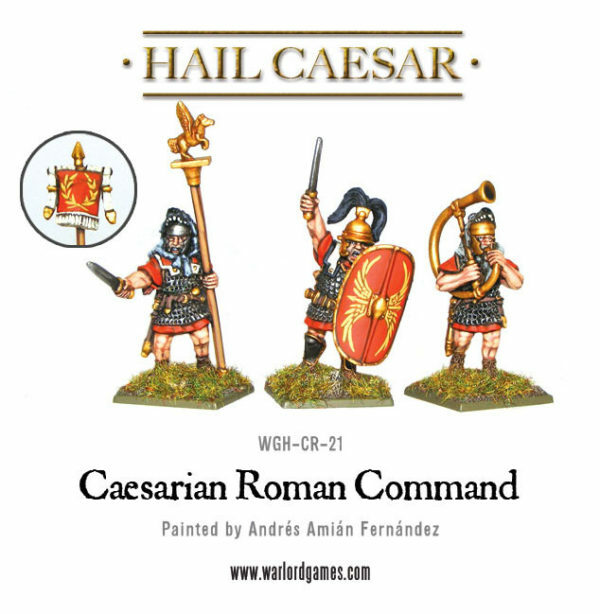 Of course, you can also use the heads with your plastic Caesarian Romans for extra variety! 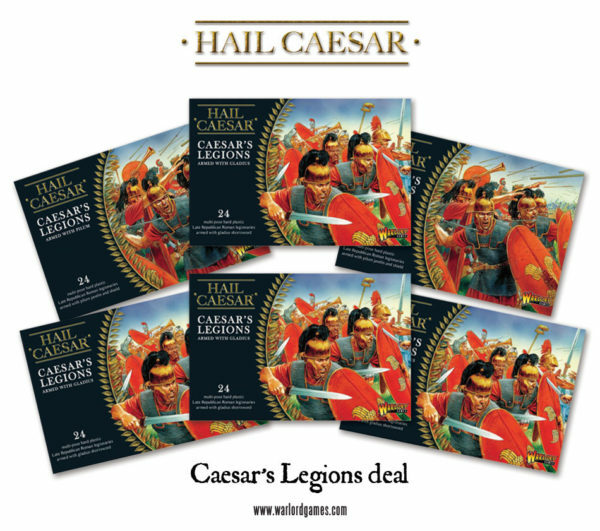 Caesars Legions Deal – 6 boxes of your choice for the price of 5. 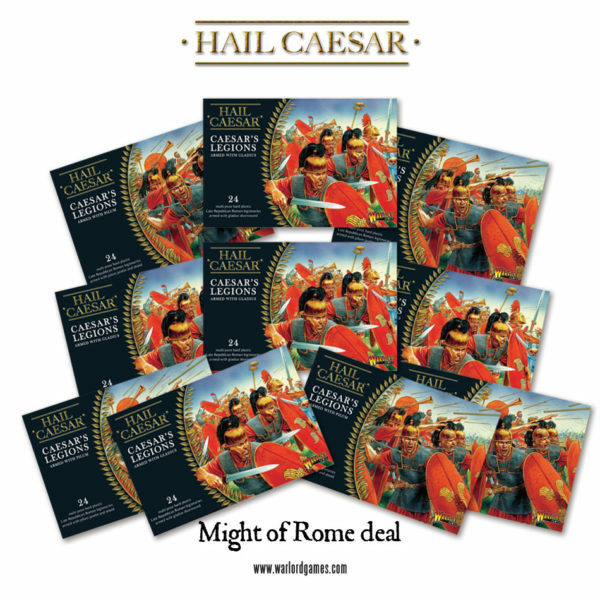 Might of Rome Deal – 10 boxes of your choice for the price of 8! 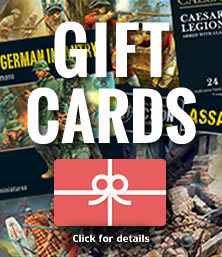 To support your legionaries as they close with the enemy, we have this splendid metal Scorpion bolt thrower. 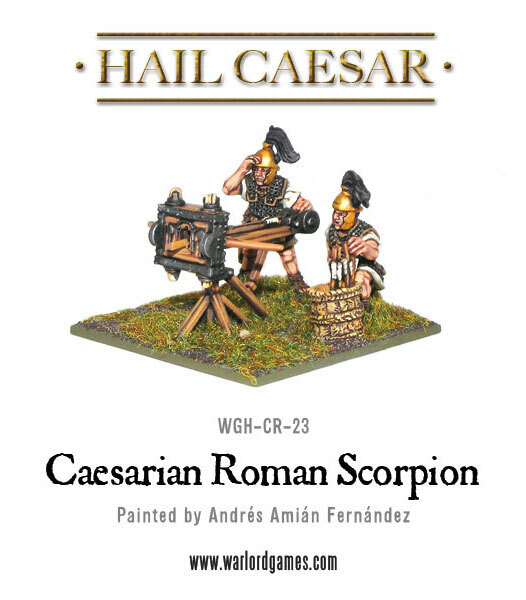 Great for laying waste to enemy formations or fortifications, the Scorpion was in widespread use amongst the Legions of Rome. 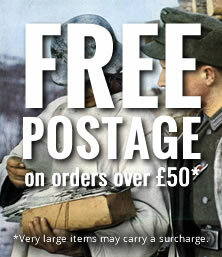 To give you extra variety in your cohorts , we have this metal command group of centurion, cornicen and signifer. 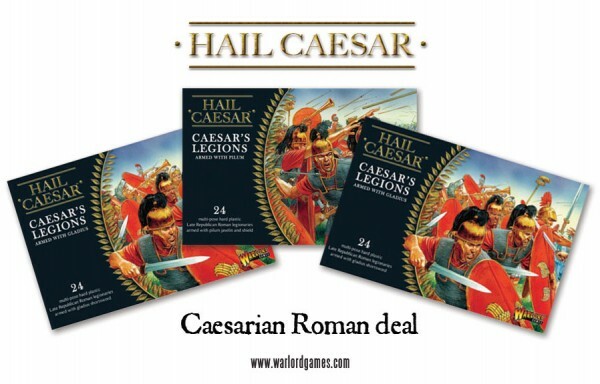 As well as the great deals above we have started to assemble a great range of Republican Romans in our webstore if you have got this far you should go and check them out!